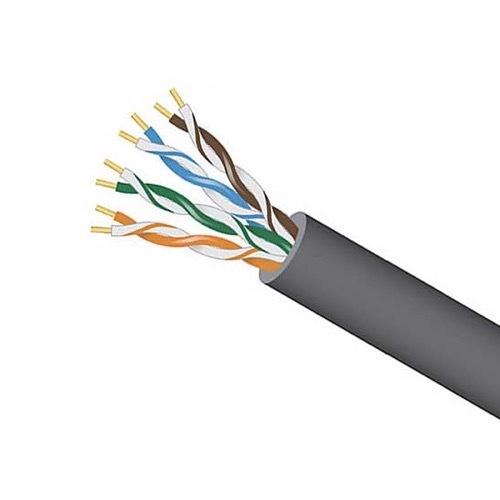 Category 5e, 4 twisted pair, 350 MHz, 24 gauge, 1,000' ft indoor communication cable. Gray Insulated PVC jacket, solid copper conductor. For a high performance data connection to the web or network. UL Listed. Easy Pull Box. Connectors available.